BC Cider Week is coming up April 26-May 5 and what better way to celebrate than to get to know our local cider producers. 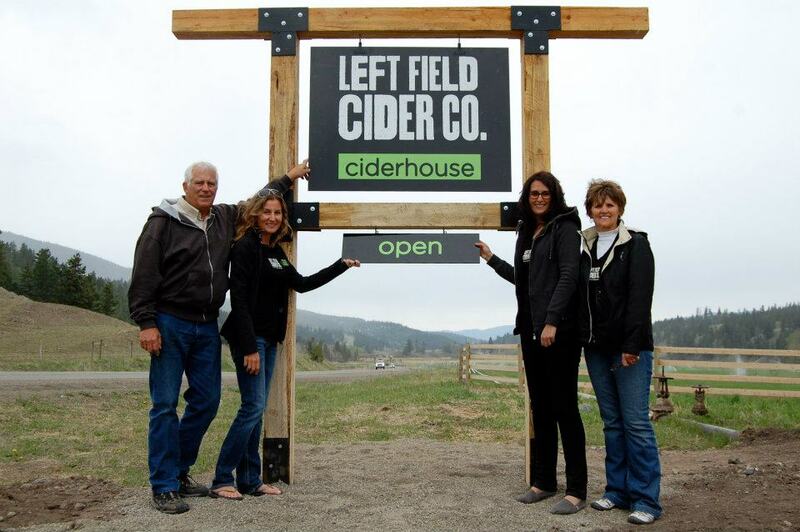 We’re pleased to introduce you to one of our favourites, Left Field Cider Co.
Nestled in the heart of BC’s interior, this family-run cidery is making stellar traditional English-style cider. It all started with a bucket, some apples, and a crazy idea to make cider in a small Kitsilano kitchen. Kate’s first attempt wasn’t exactly what you’d call a success, but it did get her hooked and soon she had completed a cidermaking course at the University of Washington and enlisted her dad and other family members to help start this new venture. After spending a year apprenticing with cidermakers in England, Kate brought the ‘real cider’ movement back home to BC. Left Field is committed to making ‘real cider’, using only fresh pressed apples without artificial sweetener, concentrates, or flavourings. Unlike some commercial ciders, Left Field cider never uses high fructose concentrates, artificial flavourings or water. They focus on traditional styles that highlight the natural characteristics of the apple. Check out their two benchmark ciders, Big Dry and Little Dry, both made from a blend of British cider apple varieties and local Okanagan dessert apples. Or, if you’re searching for something a bit more outside the box, give their Joe Shack cider a try! Big Dry is traditional dry cider with rich tannins balanced by fruity aromatics and a refreshingly tart finish. Little Dry is subtly sweet featuring a peachy, melony flavor and light effervescence. A juicy apple cider infused with fresh-pressed BC rhubarb that gives a tart and clean finish. Is Rosé the Ultimate Easter Wine?